Painting Contractors of Newton: House Painters Who Guarantee Our work! 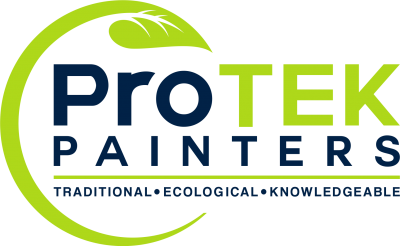 ProTEK Painters is Licensed, Bonded, Insured, and EPA Lead Certified. Painting Newton-area homes since 1999. Owner supervision of every project. Eco-friendly low- and zero-VOC paint products. Traditional values of respect, integrity, and reliability. 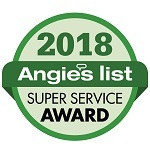 ProTEK Painters demonstrates our dedication to your satisfaction with literally hundreds of customer reviews across Newton, Wellesley, Winchester, Weston, Lexington, Belmont, Arlington and beyond. "Lived up to their reputation and promises. Excellent work. Highly recommended. The professionalism demonstrated by all throughout the process of painting the exterior of an old house." "John and his crew were great! They were professional, trustworthy, and very responsive to questions. They were a pleasure to work with. " "They were very professional in their approach and did an excellent job with our exterior paint job, with a reasonable and straightforward quote. They were responsive to our questions and handled special requests as well." Experienced painting contractors, carpenters, and craftsmen provide top-quality residential and commercial painting and home improvement services under the direct supervision of a full-time onsite foreman. The owner, John Guarino, is hands-on, involved in every step of your project, and makes clear, consistent communication with you a priority. ProTEK Painters begins every interior painting project with a warm, friendly approach to caring for your home or business. You can rely on clear and consistent communication and follow through in a professional manner. A fresh coat of paint can change everything! The right color can give your space a bright new look that represents you and your lifestyle. Aside from immediate curb appeal, exterior painting is an opportunity to give your home a structural check-up to catch and control moisture or water damage, mold and mildew, insect invasion, energy loss, and other items that may have been silently doing harm. Freshen up your current color scheme or choose a whole new look. Deck sealing and staining is an important part of the maintenance of your home. Keeping your deck in good condition protects your investment and helps you avoid expensive repairs. This attention not only improves appearance, but it will make your deck safer for family and guests, and more durable as well. We’ll have your deck looking like new in no time. Kitchen cabinet painting or refinishing is a great way to completely change the look of your kitchen on a budget! It is only a fraction of the cost of having your cupboards replaced. Quality results also increase the resale value of your home, so it’s a good investment. Transform your kitchen by colorizing your cabinets with paint or refinishing with stain. ProTEK Painters can help you make your garage, shed, basement, laundry, utility room, or other concrete floors inviting and easier to maintain. Available in numerous patterns and colors, you can select a custom look that fits your personal style or compliments how you use the space. An epoxy coating means you don't have to deal with stains again! Both vinyl siding and aluminum siding are not 'maintenance-free' after all. Save thousands of dollars by painting your siding instead of replacing it. Current technology in paint coatings provides more protection than ever from the elements. Get long-lasting, money-saving results. Color-match or choose from a variety of colors. Don't Replace. Repaint! Service Areas: Arlington, Belmont, Lexington, Needham, Newton, Wellesley, Weston and Winchester. * Please feel free to contact us if you live in a nearby area not listed above. Thank you for supporting an independently-owned local business. ProTEK Painters was formerly a franchise business of ProTect Painters. © 2019 ProTEK Painters All Rights Reserved.